Lefèvre-Utile, a Nantes-based manufacturer of biscuits, commissioned top artists to do their publicity. In addition to posters, Mucha also designed box tops, wrappers and other printed matter for the company. 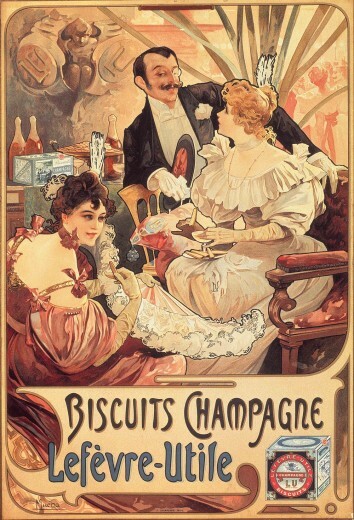 The social setting depicted in this poster is intended to show Lefèvre-Utile products to be consumed in high society. Mucha's use of black outlines is indicative of his later style.